need to test and confirm the purity and potency of the raw materials they use. The simple act of a brand making these commitments to your good health ensures its supplements deliver the results and health outcomes you want and need. Why is this important? Raw materials used in the natural product industry can be sourced from all over the globe. And while this is not necessarily a bad thing, substitute products can be passed off as the real thing. How can you be sure, without testing, that a “green powder” really is wheatgrass, or that an “orange powder” is turmeric? Furthermore, what if these materials contain contaminants, such as pesticides, bacteria, heavy metals, or other impurities? Are the active ingredients listed on the product label found in the raw material and, at the stated levels listed? What Brands Use Special Testing? 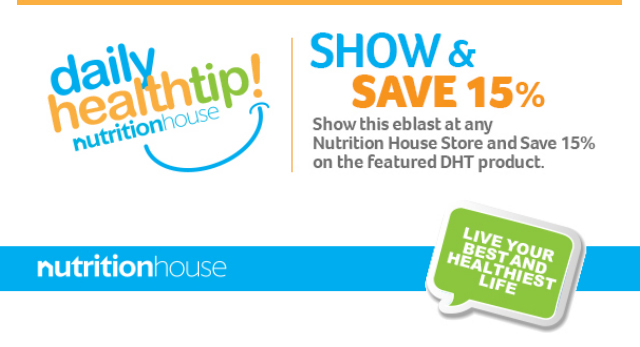 There are amazing Canadian natural health products that are the go-to supplements in the industry. And, for great reasons! Manufacturers, like Natural Factors and Assured Natural, take those extra steps and commit to responsible and accountable practices. Their products are ISURA™ certified. 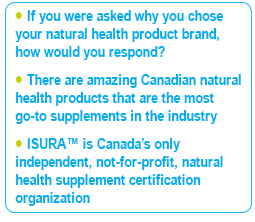 ISURA™ is Canada’s only independent, not-for-profit, natural health supplement, food product verification and certification organization. ISURA’s comprehensive approach to product testing and analysis uses a combination of state-of-the-art high-performance equipment and analytical testing techniques to confirm authenticity and detect 600+ known pesticides, solvents, heavy metals, GMOs and other contaminants. The safety, quality and integrity of natural health products are important to ISURA. That’s why the standards for their certification meet or exceed those set by Canada, United States, European Union and Australia. Natural Factors is one of the largest manufacturers of nutritional products in North America. As a proudly Canadian company, it’s good to know that it uses Canadian-grown ingredients whenever possible. It commits to extensive product testing in-house and through ISURA™ third-party testing. You can be confident that what is listed on the label is indeed what is in the bottle. Natural Factors produces some exceptional lines and products including, Natural Factors, Enriching Greens, Whole Earth and Sea, PGX, Slim Styles, OmegaFactors, Learning Factors, Herbal Factors, Whey Factors, MultiFactors, Big Friends, SeaRich, Stress Relax, Well BetX, Whole Earth & Sea. Assured Natural Distribution is a Canadian company that is an active member of communities all over Canada through its exclusive premium-quality products. 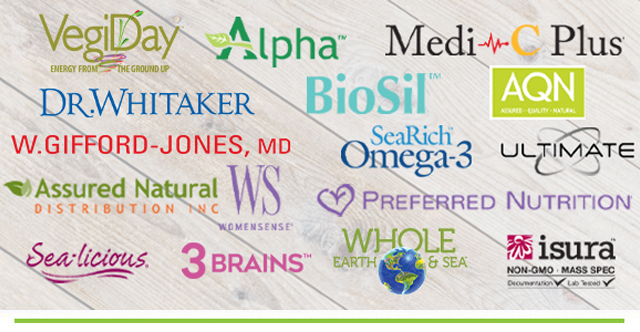 Assured Natural also supplies brands that are ISURA certified, and meet the demands you require, such as Preferred Nutrition, BioSil, Ultimate, W. Gifford-Jones, MD, Dr. Whitaker, VegiDay, Alpha, Sea-licious, 3 Brains, WomenSense ﻿and VitaDay.